It is not often I can combine wedding and nature photography together. 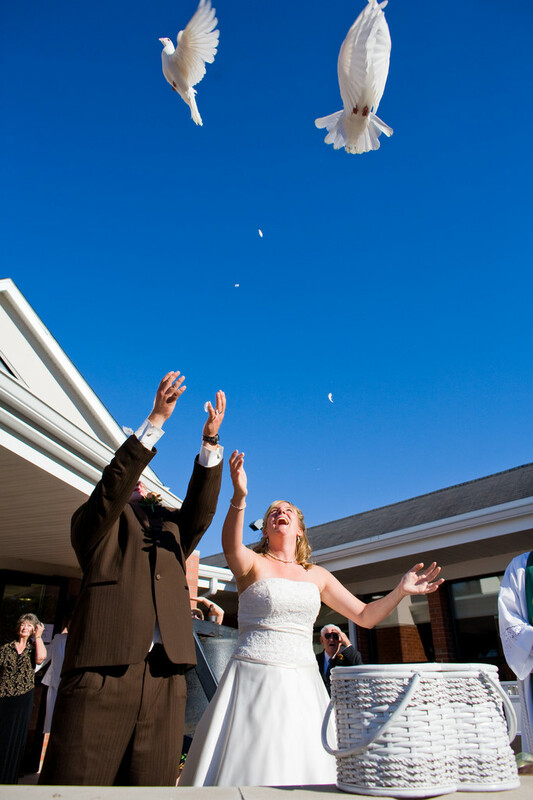 For this wedding in Moline, Illinois they had a dove release right after the ceremony. I put on a wide angle and positioned myself low to capture the doves exiting their basket. I set my camera to continous shooting and hopes for the best. 1/2000; f/4.5; ISO 200; 24.0 mm.